You are here: Home / Tips / Parenting / 4 Budget-Friendly Birthday Party Ideas for Kids! Nowadays we organize parties for our kids in shopping mall playgrounds, fast-food venues or even restaurants. We fuss about reservations and splurge on candy bars and entertainers. I’m guilty of this too and there’s absolutely nothing wrong with it. Though with a bit of imagination, an old-fashioned friend gathering at home can prove to be more fun for the kids and more economical for parents! However, if you don’t want them to turn your house upside down, you have to keep them busy. So I collected a 4 budget-friendly children party ideas! Maybe your child’s friends have seen all the new Pixar and Disney animations at the movies, but what about Charlie Chaplin or Buster Keaton? Slapstick comedies are simple and entertaining and many of them are fit for any age. Not only does this activity have an educational benefit, it’s also a good reason to play mime afterward or improvise a dress-up game inspired by the films. To make sure things don’t get messy, prepare an after-movie snack bar instead of letting them eat during the film. Of course, this depends on age but, you be the judge. I always provide lunch and a great way to do this is no-fail pizza. You can prepare some home-made juices and pizzas or order in. I make sure to have chips and fresh fruits and veggies and dip too. After the movie, you can play board games! If you own a spacious backyard, clean it up and work a little on the atmosphere to turn it into a suitable picnic location. With some blankets, pillows, a few flower pots, an umbrella to keep the sun away and cheerful music you will create an enticing space for the kids. Grill patties and veggies and let them assemble personalized burgers. Also, you can make a non-alcoholic cocktail laboratory. Get ready with a range of fruit juices, slices of lemon and orange, colorful straws and a few printed recipes as a starting point. Moreover, you can organize a yard treasure hunt, relay races or any other games that involve some physical activity. We have a trampoline in our backyard, so this is always a popular activity that goes over well! Children love to dress like their favorite cartoon or story characters. Why not give them more than one chance per year to do it? Take advantage of the occasion and buy that Cinderella costume your daughter has been asking for! It can also count as a birthday present, as a party costume and she may use it again next Halloween! Not to mention, the fact that this time of the year it’s probably on sale! The possibilities are endless – you can let them have a character parade, arrange a photo booth or even encourage them to invent their own story and create a little theatre play. If your child is the adventurous type and loves the outdoors, throw them a backyard camping day. You can get some inspiration from the vast resources of the interwebs to build a bohemian play space. You can even involve the kids if they are a bit older and it will also count as an arts & crafts workshop. In the end, they can have a picnic and play until the evening comes and their parents arrive to pick them up. You can even make s’mores, supervised by adults of course and maybe extend the party to a sleepover. We threw a sleepover party for my then tween daughter and it was a hit! I organized activities like mini-facials and manicures, made a fun photobooth for pictures, and had lots of goodies to eat. They watched a movie, and giggled late into the night. The next morning, I had a waffle bar set up, and they loved it! 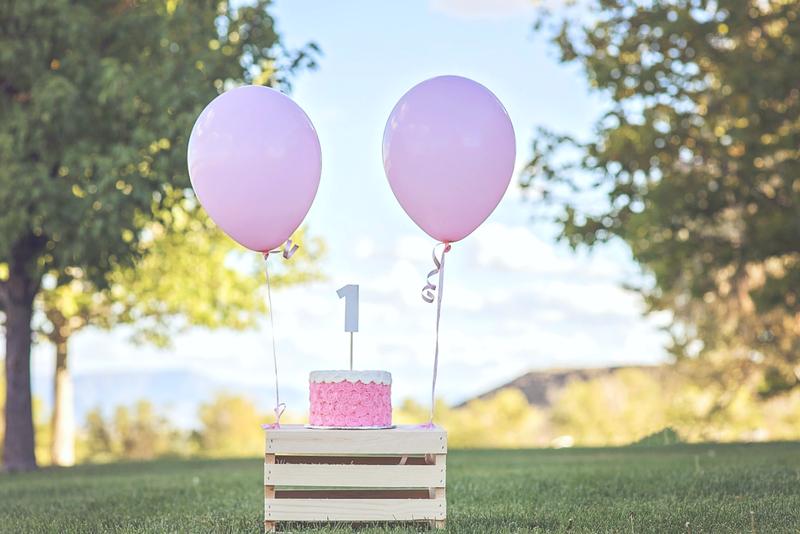 These budget-friendly birthday party ideas for kids need a bit of creative effort from the parents, but they are generally cheap. Do you have any Birthday party ideas? Previous Post: « 9 Reasons Why You’ll Love the Fuji FinePix XP 120 Camera + Giveaway! These would all be perfect party ideas for my kids who have their birthdays in May and June. A BBQ and yard sleepover sounds like a lot of fun! Yes, or you can definitely change the ideas to work indoors during the colder months. Definitely not during a cold winter but, these are ideas for those who live in warmer areas and for when the warmer months arrive for us. But, yes, a picnic indoors if you live in a cold area is a great idea.